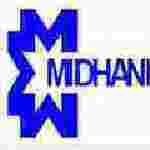 MIDHANI Deputy Manager recruitment 2016-17 notification apply for 8 posts : Mishra Dhatu Nigam Limited (MIDHANI) welcomes application for the post of 08 deputy manager, deputy general manager and additional general manager vacancies. Candidates who completed their Degree, master degree, MA, MSW is a good opportunity.The individuals who are the occupation seekers searching for govt employments in Andhra Pradesh this is the best chance to apply. Competitors read the official notification then read all the guidelines and miners precisely then apply before the last date online application got. All the interested and eligible candidates can apply online before 5th August 2016. Candidates Age Limit: The age of the candidate is 35 years. Academic Qualification Details: Candidates should have degree preferably in engineering / physical science and 2 year master degree in business administration (MBA) or equivalent with specification in human resource management or MA or MSW. Candidates Age Limit: The age of the candidate is 45 years. Official website: All the interested and eligible candidates can apply online through official website of Mishra Dhatu Nigam Limited (MIDHANI) http://www.midhani.gov.in from 23rd July 2016 to 5th August 2016. Important Dates: Starting date for the submission of application is 23rd July 2016. Last date for the submission of application is 5th August 2016.